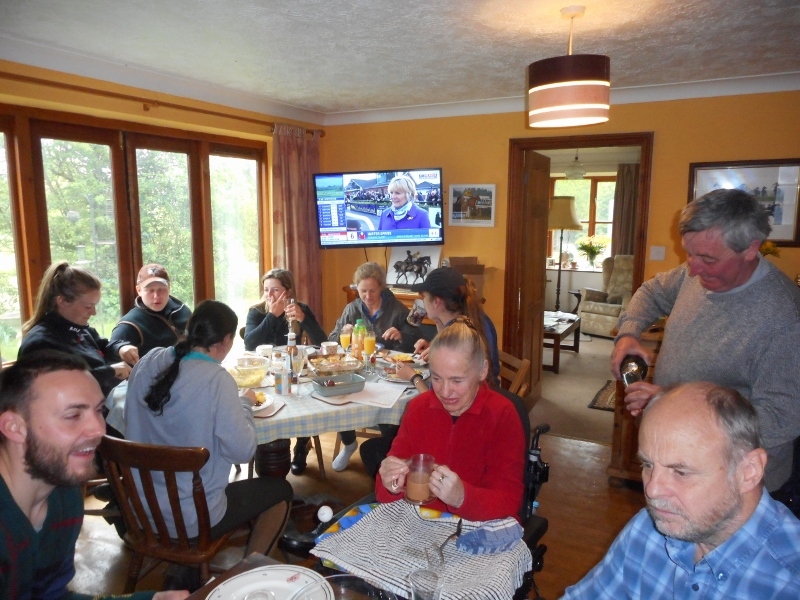 It was a great atmosphere at the yard this morning as Tony Betteridge enjoyed being the centre of the champagne breakfast following Mab Dab's Monday victory and yesterday's 2nd place with Hab Sab. Tony and his son raise an early glass. Paul continues to pour the champagne now that the staff have arrived. 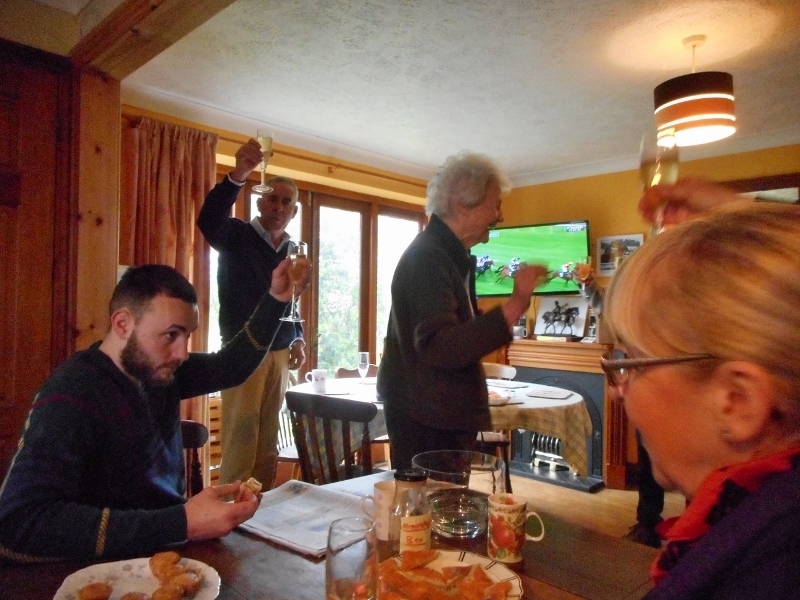 And with a few glasses consumed plans were being made for both horses' next races. Linda found an excellent opportunity for Hab Sab to make his hurdling debut. The two and three quarter mile novices' hurdle today at Fontwell attracted only three declarations and as one later became a non-runner Hab Sab had just one rival, a Paul Nicholls hot pot with a 133 rating. Unsurprisingly Hab Sab finished second but picked up over £1000 for his effort. Mab Dab won the three mile one furlong handicap hurdle at Plumpton today. Ridden by Marc Goldstein, and under top weight, he was settled at the rear early but well in touch. He moved closer going out on the final circuit and took the lead entering the railway bend for the last time. He went six or more lengths clear coming to the straight but began to tire. The eventual runner up began to close but Mab Dab was just able to hold on, winning by half a length. 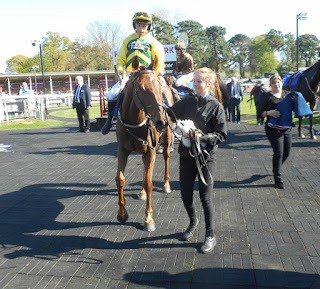 He jumped well; and seemed to appreciate the good to firm going in this his handicap debut, so hopefully there is more success to come for him and his owner Tony Betteridge. 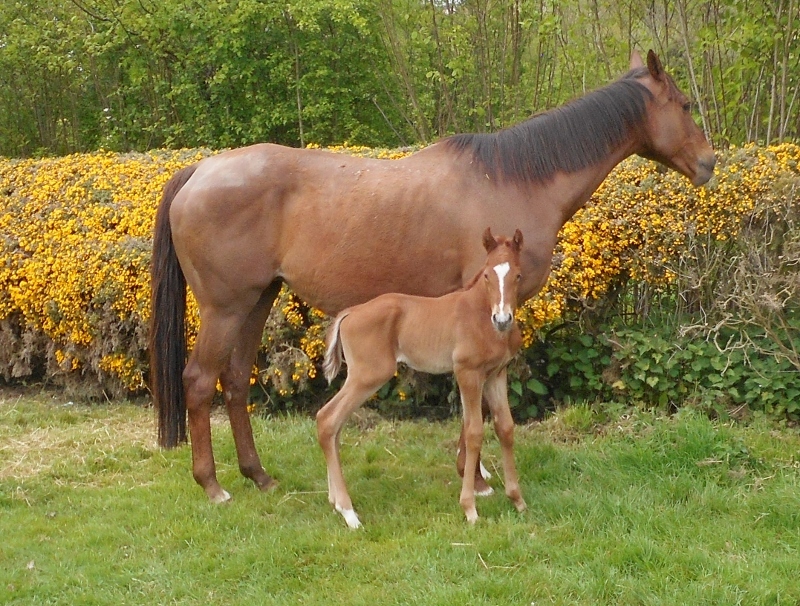 She's Humble had a colt foal this week. 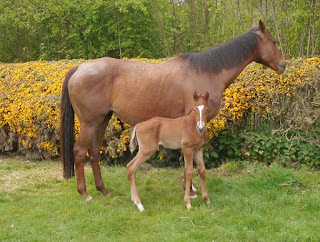 Maybe in a few years he will emulate his mother by recording victories on the racecourse. Already he is enjoying the great outdoors. Poor old Itoldyou was again frustrated in his effort to record a victory this season. 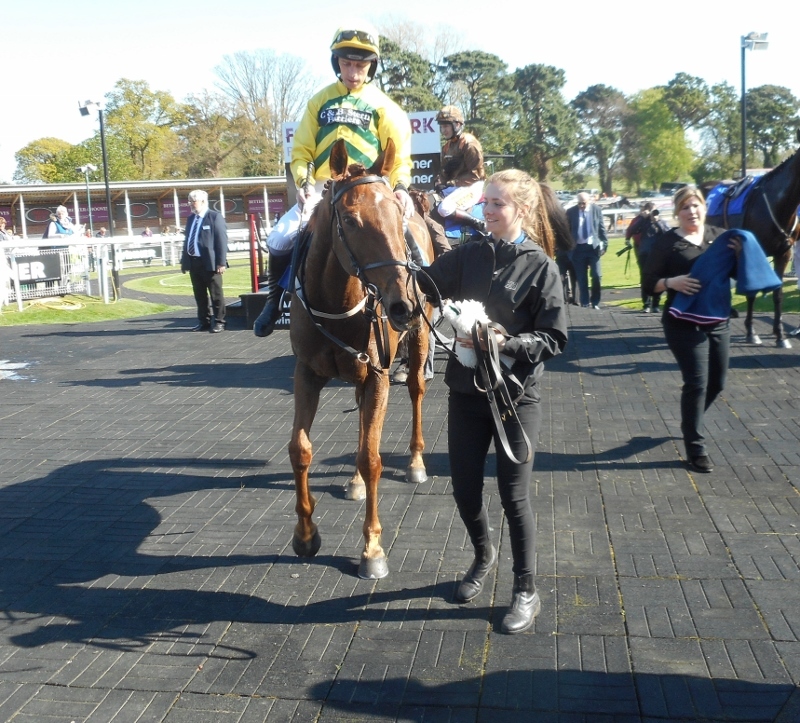 Under Leighton Aspell he was ridden prominently through the 3 mile 1 furlong contest. He was obviously enjoying himself, jumping well on the faster ground. He dropped back a couple of lengths round the final turn but battled back to share the lead over the final fence. He was unable to hold onto the lead, going down by 2 and half lengths to a younger rival, but he held off the challenge of another runner for second place. This was another courageous effort and he seemed pleased with himself afterwards. 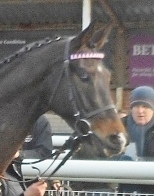 Itoldyou returns after his run. Linda was also in the money with her other two runners, Moneystown finishing 4th in the Novices' chase and Kayflin taking the same position in the mares' handicap chase.